Paddy Power Betfair (LON:PPB) today announced the acquisition of an initial 51% controlling stake in Adjarabet1, the market leader in online betting and gaming in the regulated Georgian market. The Group, through agreed option arrangements, expects to acquire the remaining 49% after three years. Adjarabet is licensed to offer a full suite of online betting and gaming products in Georgia including casino, sports, poker and peer-to-peer games. It is the market leader with an estimated 40%2 share of total online revenues. A key component of this leadership position is the strength of the Adjarabet brand which has a c.86%3 spontaneous brand awareness amongst the Georgian population, significantly higher than competing brands. This brand presence is driven in part by the business’ exclusive long-term marketing relationship with Adjaranet, the leading Georgian media website. During 2017, the business launched in the developing regulated Armenian online market, winning c.10%4 share of that market by the end of 2018. In 2018, Adjarabet generated revenues of 215m Georgian Lari (GEL) (£64m) and EBITDA of GEL68m (£20m)5. The initial cash consideration being paid by the Group for the 51% stake is £101m. A mechanism has also been agreed, consisting of call and put options, which enables the Group to acquire the remaining 49% after three years at a valuation equivalent to 7 times 2021 EBITDA. The call/put option consideration can be settled, at the Group’s election, in cash or shares. This acquisition provides the Group with exposure to two attractive, fast-growing, regulated markets. The online Georgian market is estimated to have grown at a CAGR of 40% from 2016 to 2018 to an estimated £180m2 of gross gaming revenue with the nascent Armenian market providing a further growth opportunity. 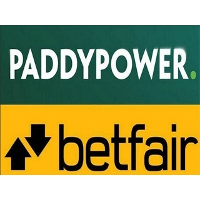 We believe that the combination of the market-leading brand and local operational expertise with Paddy Power Betfair’s technology and leading sports capabilities positions Adjarabet very well to capitalise on this opportunity. “This bolt-on acquisition is in line with our strategy of establishing podium positions in attractive online markets. Adjarabet’s leading brand presence and strong management team has established it as the clear number 1 in the fast-growing, regulated online Georgian market. Together with our Group’s technology and sports capabilities, we are confident that Adjarabet will be strongly positioned to continue to build on this success”. Click PPB for the full archive.